Several Staffing World meetings and networking events begin on Tuesday, Oct. 24. The opening general session takes place the afternoon of Tuesday, Oct. 24. The convention’s Grand Finale takes place on the evening of Thursday, Oct. 26. See the Agenda for details. Please note that the only legitimate and reliable way to make hotel reservations for Staffing World is by using the hotel links below or by calling the hotel directly. Use extreme caution if you receive calls or emails about discounted hotel rates; such solicitations are in no way affiliated with ASA or Staffing World. Staffing World 2017 takes place at the McCormick Place Convention Center, with ample space for the industry’s largest gathering of executives. 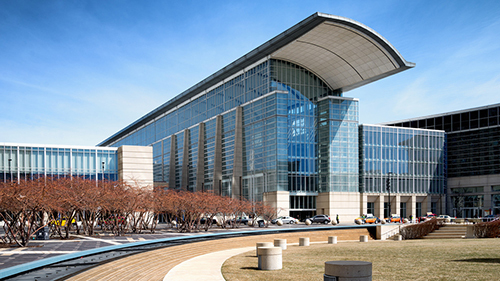 The McCormick Place Convention Center is located 20 miles from O’Hare International Airport and 10 miles from the Chicago Midway International Airport. Staffing World takes place at the McCormick Place Convention Center in Chicago! The Windy City has so much to offer, including the theater, museums, shopping, and dining. Make the most of your trip to Chicago. Staffing World attendees have several hotel options that are in very close proximity to the McCormick Place Convention Center, where the convention takes place. 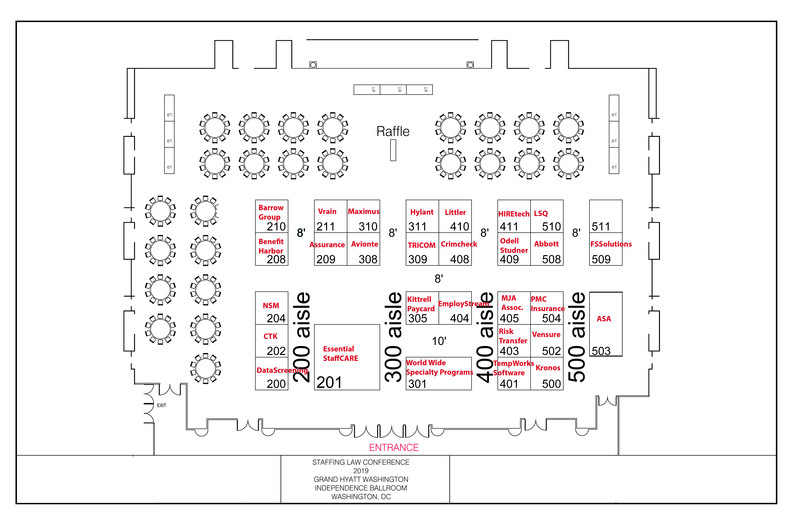 A special room block has been set aside for convention attendees at the location below. ASA urges convention attendees to make their hotel reservations as soon as possible. When making your reservation, ask for the ASA Staffing World 2017 convention rate. Includes internet. Cut-off date: Oct. 2. Check-in for the Palmer House begins at 3 p.m. Checkout is at 11 a.m.
Includes internet in sleeping room. Cut-off date: Sept. 29, 2017. Check-in for the Hyatt Regency begins at 3 p.m. Checkout is at 12 noon. Includes access to fitness center. Cut-off date: Oct. 2, 2017. Check-in for the Marriott Marquis begins at 3 p.m. Checkout is at 12 noon. Check-in for the Blackstone Hotel begins at 4 p.m. Checkout is 12 noon. The O’Hare International Airport (ORD) is 20 miles from the McCormick Place Convention Center, where Staffing World 2017 takes place. The Chicago Midway International Airport (MDW) is 10 miles away from the convention center. The airports and the convention center also are convenient to the host hotels for convention participants, the Hyatt Regency McCormick Place and Marriott Marquis Chicago. ShuttleFare.com is offering a $5 discount off airport shuttle transportation to and from the airport and your designated hotel. To book a reservation, click on either the Chicago Midway International Airport link or the Chicago O’Hare International Airport link. Use the coupon code “STAFF17” and enter the code on the bottom right of the checkout page before submitting payment. Once you complete your reservation an email confirmation will be sent to you and this will be your travel voucher for your airport transportation. It will also include instructions on where to meet your shuttle when you arrive at the airport as well as any important phone numbers for the day of travel. For reservation changes or questions, contact customer service at 800-851-4528 or email c**************@shuttlefare.com. See additional travel information, including details about area airports, train and bus service, car rentals, and local directions. On-site private vehicle parking is available at the convention center’s 2,100-vehicle garage. Enter the parking garage on S. Dr. Martin Luther King Jr. Drive, adjacent to the West building. The daily rate is $23. Parking rates may range from $23 to $36. Payment is due upon entry, and there are no in-and-out privileges. Accessible parking is available in Lot A (located on S. Dr. Martin Luther King Jr. Drive) and Lot C (located underground in Lakeside Center). Parking questions? Call 312-567-8360.